Nickelodeon reality TV series, Slime Cup will return in July with an audition tour about to get underway with new US hosts Daniella Perkins and Owen Joyner from Knight Squad, traveling down under to meet their Aussie fans. Auditions will be held at five Westfield centres in Victoria & NSW, plus auditions in Auckland and casting via online. Ben Cox, General Manager and Vice President of Nickelodeon Australia and New Zealand says, “We’re thrilled to bring back Slime Cup for another Slime-packed season. By partnering with Westfield we’ve been able to expand our live auditions tour to three times as many locations, opening the opportunity up to more kids than ever before. 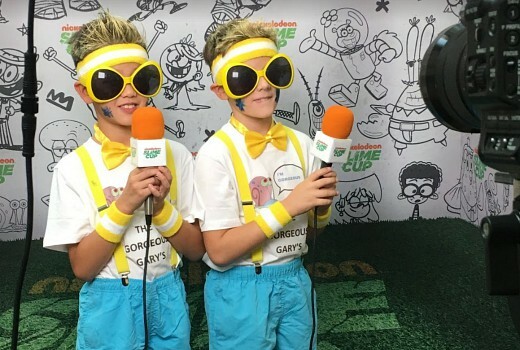 In partnership with Westfield, Nickelodeon is expanding their search for local superstars, taking over six centres across Victoria, New South Wales and for the first time, Auckland in New Zealand, to host live auditions. Throughout the audition tour, Nickelodeon is on the hunt for 12 teams of besties, aged 9 to 13, to take on Slime-filled challenges and star in season four of the series. For the first time ever, the team with the most mega, Mega Squad(a group of humans and non-humans that think you’re amaze-balls and are prepared to cheer you on) will also be invited to take part in the on-screen action. Each live audition will see want-to-be Slime Cup contenders attempt a series of challenges set to test their coordination, teamwork and problem solving skills. Besties will need to ‘land as many tennis balls in Slime-filled cups fastened to a sombrero’ (aka Slimebrero), or work with their partner to ‘connect interconnecting wide-brimmed hats topped with a cup of Slime’, before progressing to the interview process where they can introduce their Mega Squad and share why they should be in season four of Slime Cup. The six-episode series, Slime Cup will premiere Mondays at 5.30pm from Monday 1st July until Monday 5th August, on Nickelodeon. Slime Cup Live Audition Tour will take place throughout April 2019. * Special guests Daniella Perkins and Owen Joyner from Nickelodeon’s hit series Knight Squad in attendance at all three locations. *Special guest appearance by Sonny Ngatai, TV presenter and host of Tiki Towns, which is currently streaming on Nick Play.